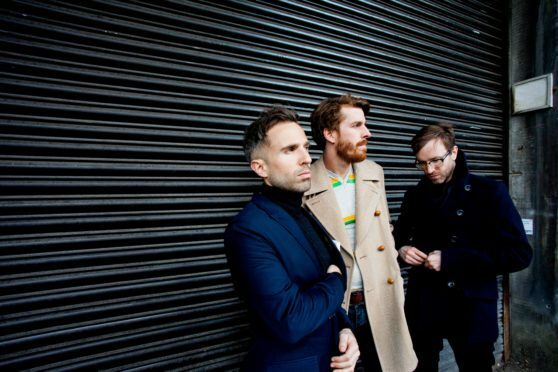 The Hoosiers will kick off this year’s Montrose Music Festival with a headline set at the town hall. The pop rock band join a long list of artists to have played the festival including Bryan Adams, Madness, Jools Holland and the Beach Boys. The Hoosiers will open the weekend of live music on Friday May 25 having just completed a 10-year anniversary tour in late 2017. Frontman Irwin Sparkes said: “We are really excited to be performing in the North East to headline this year’s MoFest. Formed in Indiana, the Hoosiers began attracting an audience with their tuneful, vintage-minded indie pop in 2007. The band’s first two singles ‘Worried About Ray’ and “Goodbye Mr A’ peaked at number five and number four respectively. Debut album ‘The Trick to Life’ topped the charts upon its release in October 2007 and eventually went double-platinum in the UK. Montrose Music Festival takes place between May 25 and May 27. MoFest chair Anne Jenkins said: “We’re really excited to have The Hoosiers to open this year’s festival. “For us as organisers it’s always about the music and putting on a great show. “We get approached by a lot of agents but we’re very careful to protect the ethos of the festival and if we don’t love them, we don’t have them. “Last year saw MoFest celebrated its tenth year, and we constantly have to pinch ourselves when we think about what it has achieved. “Again, this year it promises to be another fantastic weekend of live music with over 100 bands playing across 24 venues around town. “Our High Street event is going to be a little bit different this year, our main stage will be hosted by a comedian and we’ve got some really good brands like 71 Brewing, Edinburgh Gin and The Horseshoe Bar coming along. “We’ve really tried to get something for everyone this year, you’ll be able to enjoy a nice craft beer while the kids play on the activities. Tickets go on sale this Saturday at 10am from www.ticketweb.co.uk or calling 0333 321 9990 or direct form MoFest HQ at 66 New Wynd, Montrose.